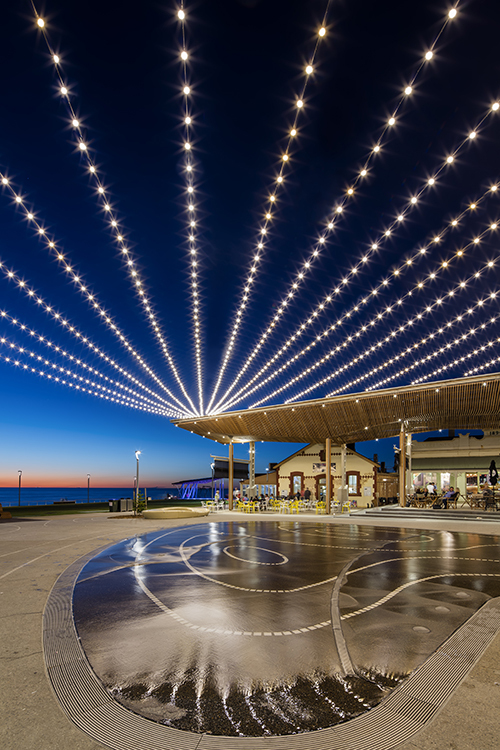 Henley Square at Henley Beach, Adelaide, is a public space where people can relax and enjoy the incredible ocean views. 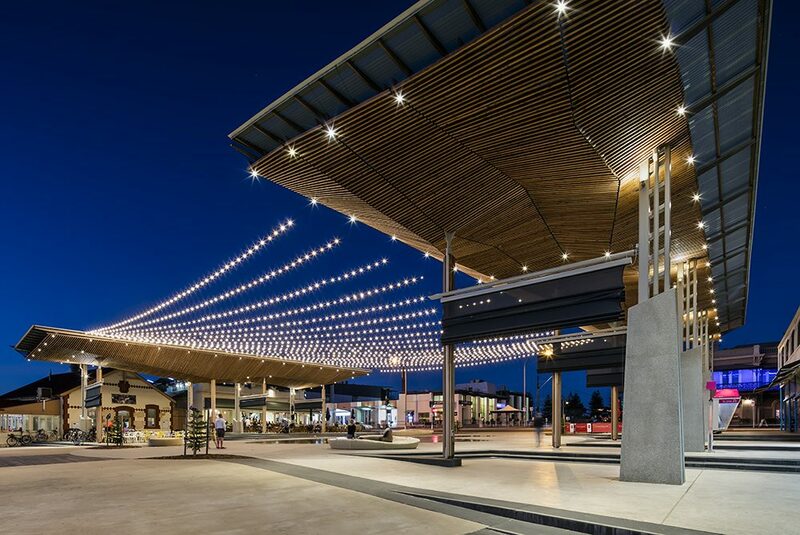 Tensile undertook the design, development and engineering of a Catenary Light System as part of the consultant team, and supplied the cables and fittings for the project. 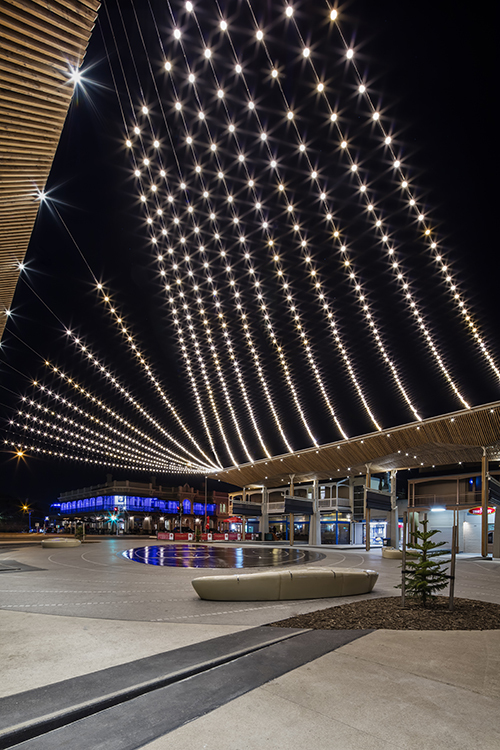 By day the cables are barely noticeable and blend in unobtrusively, but at night, the sky above Henley Square lights up like the Milky Way. 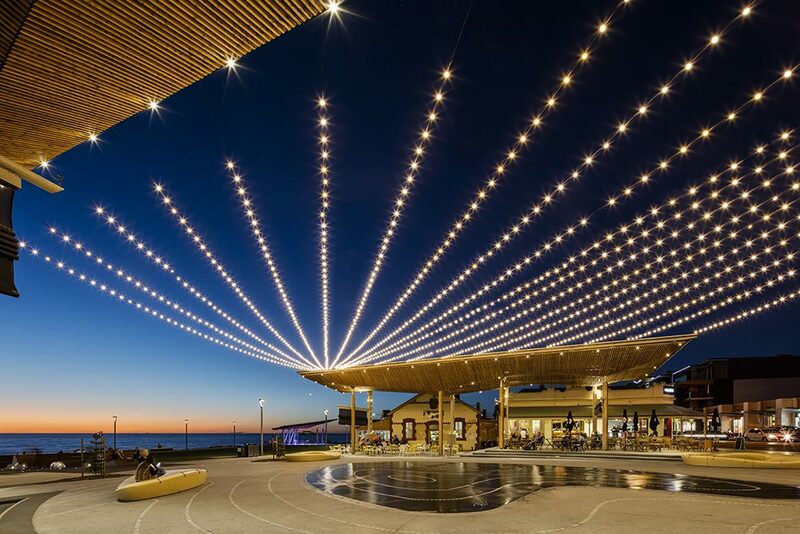 The system provides stunning, decorative lighting that doesn’t intrude on the space in any way. 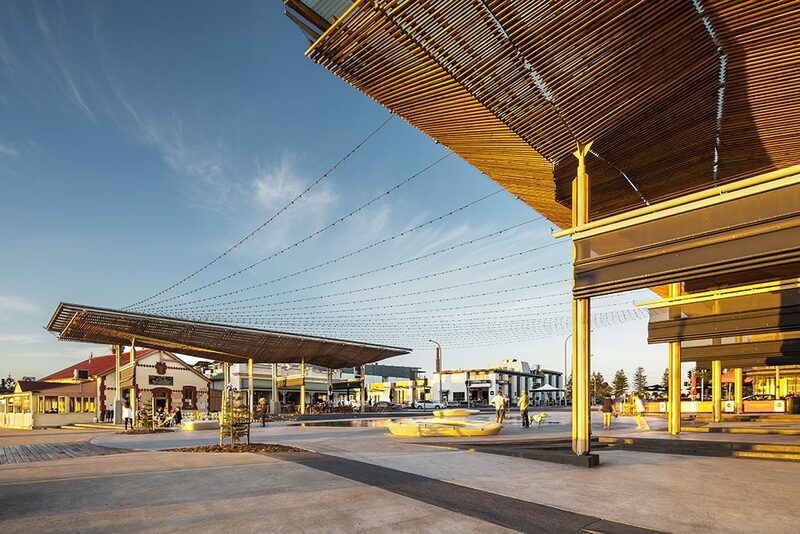 All the cables and lights are suspended high in the air between purpose built canopies, leaving the public domain free of any poles or masts that would ordinarily hold these types of cables. The design of this lighting system is so simple, but that is what makes it so appealing. Lightweight cables are a fantastic solution for spanning long distances. In this project, some of the cables are up to 30m long, and due to the minimal weight of the LEDs, the cables are only 4mm in diameter. Despite the length of the cables, they do not sway around excessively in the wind due to the strength of the cables and the tension that can be applied to them. The efficient use of the cables extended further by reducing the engineering forces to the structure, Tensile modelled the cables to ensure an optimum outcome. 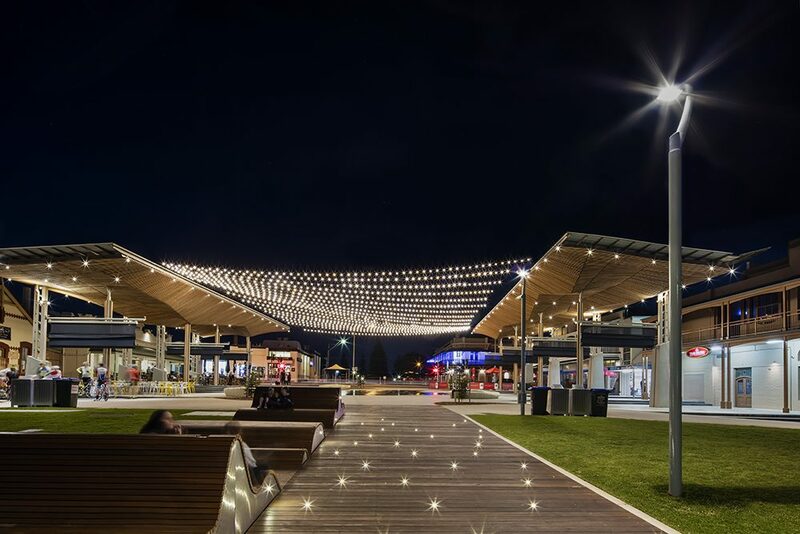 The lights are RGB and IP rated for outdoor use, allowing them to be re-programmed with any media desired, enhancing the public amenity at night. 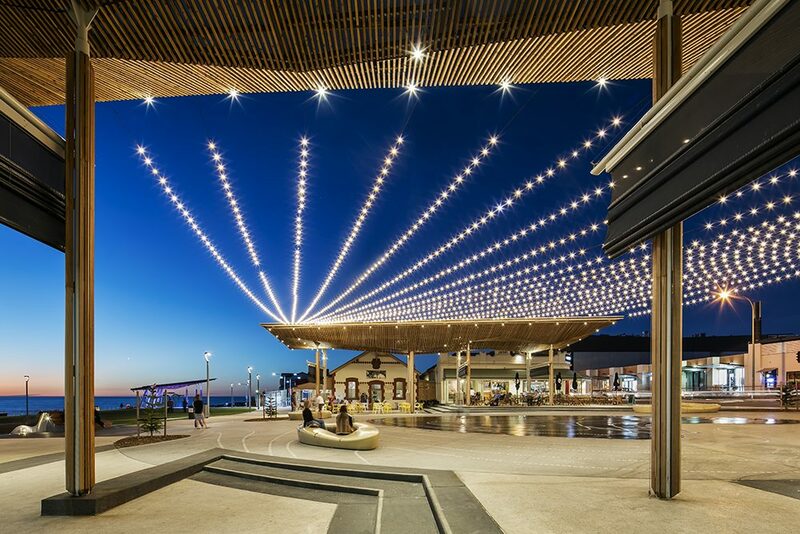 Tensile thoroughly enjoyed working on such a unique project that can be enjoyed by thousands of people. To find out how we can create a similar solution for you, call our team.